APCO Technologies’ engineering teams provide creative and efficient solutions which ensure precise, controlled and safe motion of heavy and sensitive components. CAD designs, dynamic studies, and factory tests are important steps of APCO Technologies’ development process to reach the highest standards and help our customers achieve their goals. 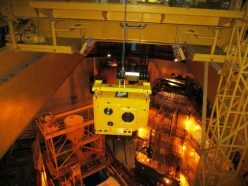 Modern equipment requires increasingly sophisticated instrumentation and control systems to comply with safety and reliability standards, while simultaneously enhancing performance. 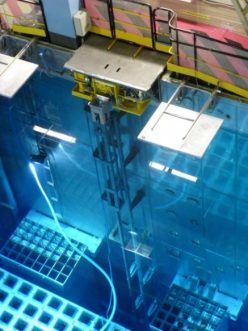 APCO Technologies develops such technologies in the early design phase of new machines or to upgrade existing systems according to the latest standards. APCO Technologies’ engineering teams perform complex calculations to ensure optimized dimensioning and behavior of the equipment that the company develops and provides. From structural to spectral and time-history seismic analysis, APCO Technologies is proud of its in-house expertise in complex design validation. 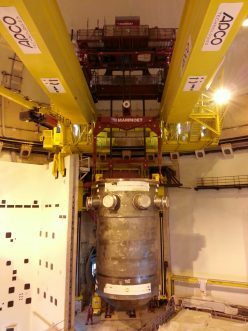 Thanks to those rare competencies, APCO Technologies has been involved in the “post-Fukushima” complete assessment of French nuclear power plants aiming to determine if the existing lifting devices were able to survive such a natural event. Based on the recommendations that have been made after the analysis, some modifications are now implemented. 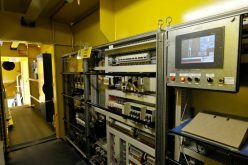 Mechanical, electrical, hydraulic or measurement systems, either specifically designed in-house or assembled from existing, standard industrial modules can be integrated by our engineering teams to increase functionality, monitoring, recording and safety of the machines provided by APCO Technologies. When it is time to refurbish or provide curative maintenance for a customer’s machine, APCO Technologies carries out specific studies to address component’s obsolescence. APCO Technologies also offers its customers original spare parts through its network of suppliers all around the world.